Win a $50 Gift Certificate to Hard Rock Cafe! Congratulations to Susan Nordstrand on winning our 123th High Five Giveaway and thank you to all who entered! 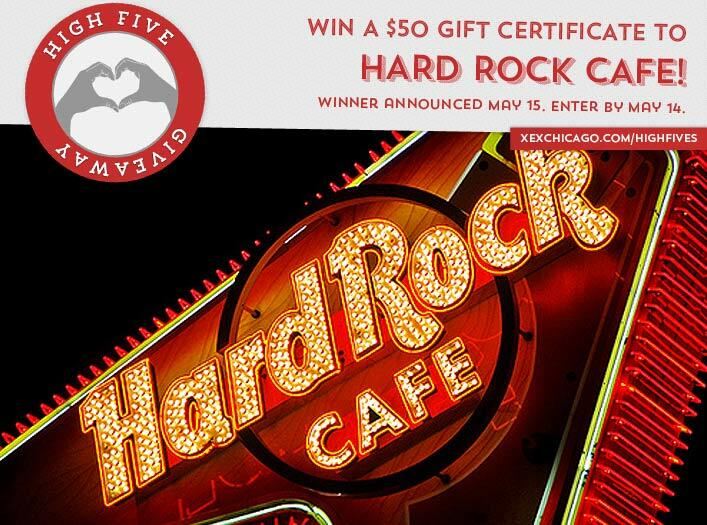 Our next High Five Giveaway is for a $50 gift certificate to Hard Rock Cafe. If you’re having trouble with hair breakage, what should you make sure your shampoo is free of? Now, just add a comment to this post with the right answer to be eligible to win! The winner will be announced on Friday, May 15. Entries must be received by midnight on Thursday, May 14. Good luck! Shampoo should be free of sulfates! The answer is- make sure your shampoo is free of sulphates! !